An adventure park including 5 dynamic courses (culminating in a 137-meter zip-line) for adults and children at least 140cm or the fourth grade, a new canopy course for anyone above 110cm, and a free kids’ course. 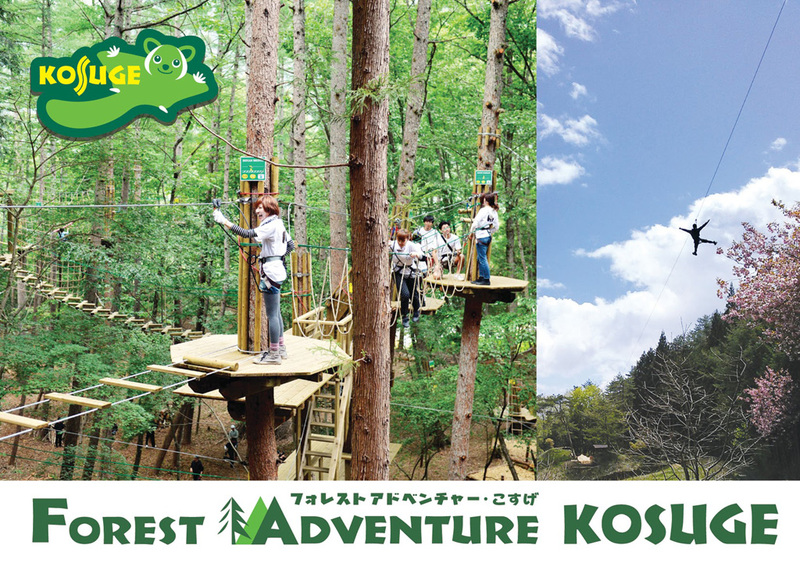 Forest Adventure is located next to Michi-No-Eki. It is open from Mid-March to November, 9:00-17:00 with last entry at 15:00. The full course takes about 2 hours. To ensure availability, please book in advance.